Can you get homesick for a place that’s not your home? Four years after spending an amazing month there, I always get a little wistful for New Zealand at this time of year. Maybe it’s because just as winter is starting to settle in here in New York, summer is in full effect over there, and my brain and body could use long days of sunlight right about now. I went to NZ one week ahead of my wife, who would join me on the South Island for three weeks. 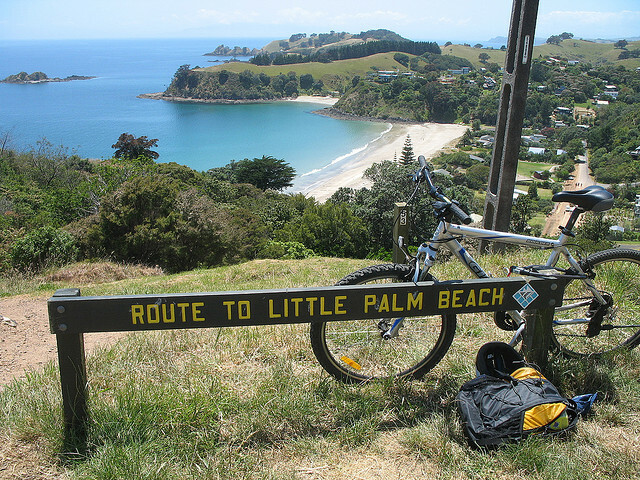 During one memorable day by myself, I took a ferry from Auckland to Waiheke Island and rented this bike for less than ten dollars. I can still feel the sun and smell the ocean.